From the 1st to the 15th of July, 2013, KIITEC hosted ADEI’s President -Jean Pierre Acquadro, ADEI volunteer-Girier Loup and a volunteer from ADEI’s partner, Schneider Electric Teachers, Ravi Bhushan Singh (from India). The aim of their mission was to introduce a training course in the use of Pneumatic Technologies for the students in the Industrial Automation programme and to set-up a short training course in Household/ Domestic Electricity. For the first time, the students were able to familiarize themselves with Pneumatic Control Systems using an automated plastic sorting machine. 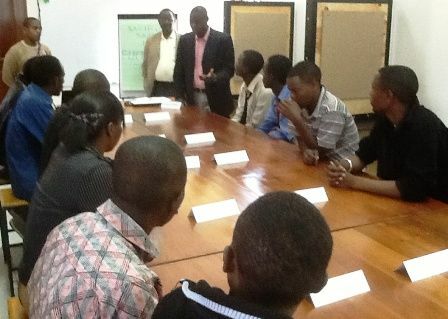 During their time in Arusha , the duo organized a meeting with officials of the Vocational Education and Training Authority of Tanzania and the Arusha Technical College to share ideas and best practices on KIITEC’s Household Electricity Training Model and discuss strategies for future improvement. Gabriel Mshana, currently an NTA-6 student at KIITEC, was selected to be in charge of the Household/Domestic Electricity Training Course. Gabriel is presently undergoing an intensive teacher training and coaching programme with our Schneider Electric Teachers’ volunteer, Ravi Bhushan Singh. Our congratulations to the team for a successful mission accomplished!